It’s a busy weekend in the metro with lots going on for live music fans. 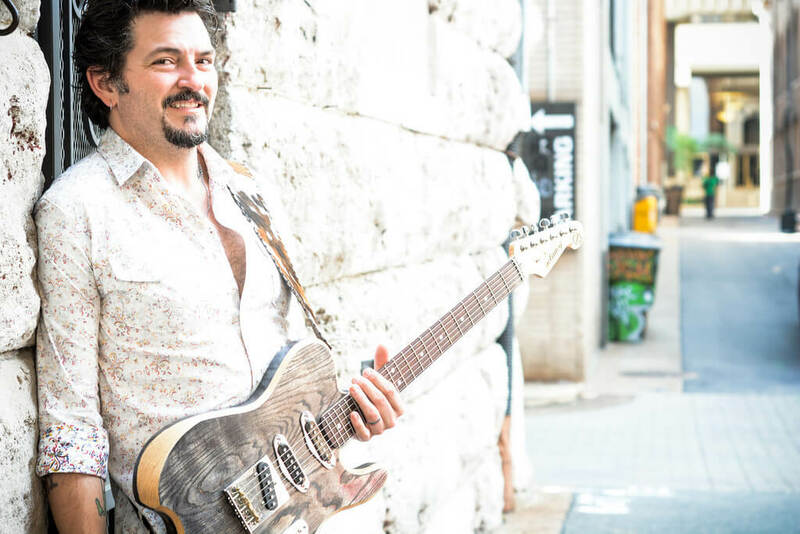 A favorite with local audiences, the blues guitar star-led band Mike Zito & The Wheel plays a Valentine’s show at The 21st Saloon Saturday, Feb. 14, 6-9 p.m. Zito is touring in support of his most recent disc Songs from the Road (Ruf Records). See mikezito.com. Advance tickets are available at eventbrite.com. Hawk’s BBQ will be catering a special dinner available for purchase beginning at 5 p.m. including prime rib or stuffed turkey breast. See facebook.com/bluessocietyofomaha. Kris Lager Band releases their most recent studio recording, Heavy Soul & Boogie Trance Friday, Feb. 13, at The Hive, 9-11 p.m. The CD was produced by Kelly Finnigan and Ian McDonald of The Monophonics and mixed by Sergio Rios of Orgone. The album was recorded old-school analog by Finnigan and McDonald in California. This band knows how to put their soul into their original music and high-energy live shows. Kris Lager Band has had a busy year working on the disc and also touring and recording with Andy Frasco as well as touring under their own name. Kris Lager Band’s Platte River Runaway produced by Tab Benoit at his Louisiana studios is also available for purchase from krislagerband.com. In other Lager Band news, bassist Brandon Miller has announced he is leaving the band after their Feb. 28th Bourbon Theatre CD release show, though he will still be involved behind the scenes. Miller posted the news on Facebook on Feb. 10, noting “I will be focusing on Hullabaloo Music Festival which will take place this year on July 23rd-25th, so mark your calendars! We are also going to have our annual Hullabacruise May 15th and 16th. Look for lineups and tickets for both to be available very soon! My wife Marla Leeder and I have taken over Sokol Park, the location of Hullabaloo, and will be throwing shows out there Spring through Fall” as well as hosting other events there. Minneapolis’ Ross Kleiner & The Thrill play two shows this week, hitting Rockabilly Night on Wednesday, Feb. 11, 7:30 p.m. at Chrome Lounge, 8552 Park Dr., and The 21st Saloon Thursday, Feb. 12, 6- 9 p.m. Kleiner is winning praise that compares him to other contemporary, rockin’ acts with vintage roots like J.D. McPherson, Nikki Hill and the late Nick Curran. Rockabillyromp.com says of their record that it “taps deeply into jazz swing, jump blues, R&B and a touch of rockabilly. My recommendation: Get this one. It’s rockin’ and you’ll dig it.” See rosskleiner.com. The next installment of the Sunday Roadhouse concert series features former Squirrel Nut Zipper and southern roots musician Jimbo Mathus at Slowdown Sunday, Feb. 15, 5 p.m. Mathus has spent a life steeped in music, starting with a Southern childhood spent with a nanny who was the daughter of Delta bluesman Charley Patton. Mathus was a member of retro-swing band Squirrel Nut Zippers and went on to work with Buddy Guy, Elvis Costello, and played with North Mississippi Allstars guitarist Luther Dickinson and Alvin Youngblood Hart in the South Memphis String Band. His new disc officially drops on show day, Dark Night of the Soul (Fat Possum) recorded in Mississippi’s Dial Back Sound Studio where many classic Fat Possum recordings were made. See jimbomathus.com and sundayroadhouse.com. The 9th Annual Omaha Entertainment & Arts Awards happens Sunday, Feb. 15, 7 p.m. The show takes place at he DoubleTree downtown with music performances by nominees including Matt Whipkey, Dirty River Ramblers, Prairie Gators, DJEM & Linear Symmetry, Devel Crips and 1980star Comedy. See oea-awards.com for details including ticket purchase information. The Official After-Party takes place at The Hive immediately following the award show with free admission and performances by Hector Anchondo and Marcey Yates. Matt Cox plays the Harney Street Tavern Wednesday, Feb. 11, 9 p.m.
Lincoln’s Zoo Bar rocks with Tijuana Gigolos Friday, Feb. 13, 5-7 p.m. and Lil’ Slim Blues Band after 9 p.m. The Geezers, featuring members of the Honeyboy Turner Band along with guitarist Tim Budig, gig at Havana Garage Saturday, Feb. 14, after 9 p.m.
Rebecca Lowry and All Young Girls Are Machine Guns have a Kickstarter going to press a 45 RPM release of the last two songs the band recorded before a change in their personnel. Check out the project at kickstarter.com/projects/224165893/all-young-girls-are-machine-guns-tiger. Omaha Jitterbugs hosts their monthly Sugar Foot Stomp Thursday, Feb. 12, 8 p.m. at House of Loom. This month, the Jitterbugs curate the music of Count Basie for dancing and enjoying a cocktail or two. Hector Anchondo Band plays Reverb Lounge Saturday, Feb. 14, 9:30 p.m. for Oskar Blues Brewery Night. Admission is free. See reverblounge.com. Acclaimed singer-songwriter-guitarist Peter Mulvey hits the Reverb next Wednesday, Feb.18, 9 p.m. with the Faerie Tones. Mulvey is touring in support Silver Ladder produced by Chuck Prophet. Mulvey is a remarkable songwriter and performer who has only played Omaha a couple of times (including at the old Mick’s and at Jerome Brich’s FolkHouse. Find out more at petermulvey.com/press.